We have always loved almond butter in our house. We started eating it when my daughter was diagnosed with a peanut allergy, and continued eating it long after she grew out of the allergy. Almond butter is delicious and creamy, but it can be hard to find. When we lived in a small Texas town, I could only find it by driving four hours north to San Antonio. That makes for a pretty inconvenient grocery trip. I wish I had owned The Nutramilk back then. This new, one-of-a-kind appliance is as easy to use as it is versatile. It lets anybody make their own fresh alternative milks and butters at home. The Nutramilk makes alternative milks and butters in less than 15 minutes without any additives or emulsifiers. It can make up to 67 ounces of fresh alternative milk or 26 ounces of butter at a time. 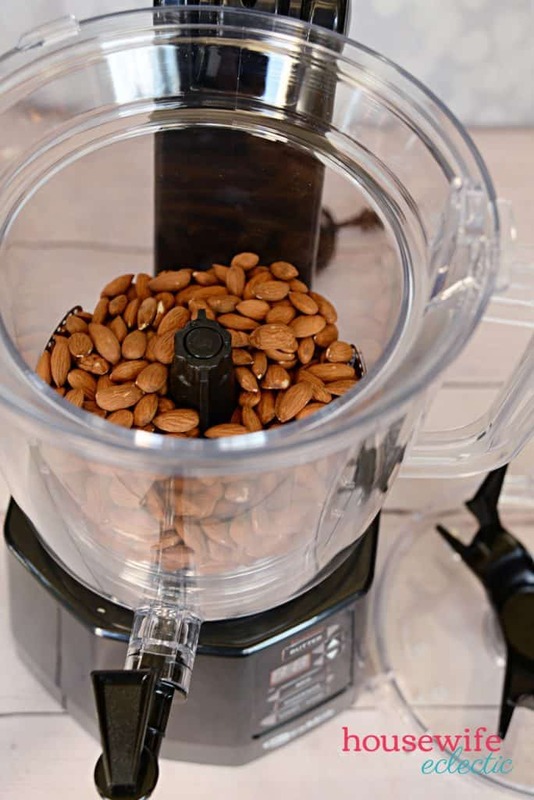 Right now, we have just been using it to make our almond butter and milk for the week but it can be used with virtually any nut, seed, grain or legume! 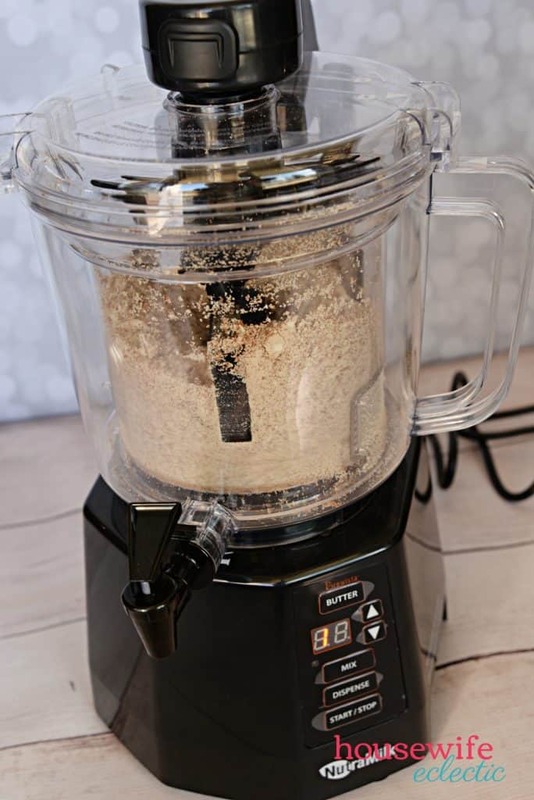 As a mama that really tries to eat clean, I love that The Nutramilk lets me make one-ingredient almond butter. That’s right — ONE ingredient! 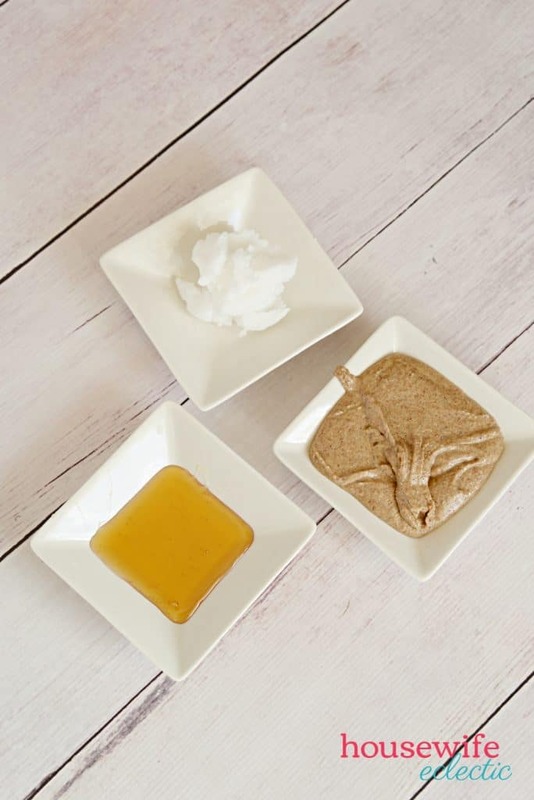 I will walk you through how to make your own one-ingredient almond butter and then how to make almond butter fudge two ways. There is a clean and simple way for those of you who want a dessert with less sugar, and a traditional fudge recipe for those of you who want to change up your typical fudge. The Nutramilk comes apart into several pieces. Each of these pieces is what allows The Nutramilk to make perfect butter without tamping or much effort at all on your part. Just put the machine together, add your nuts and turn it on. The large main container has a second container that fits into it. This second container has 100 grade mesh on it that filters out large particles and pulp. Lock the large container into place onto the base, add the second container with the mesh and then place the blade in place. That’s it! 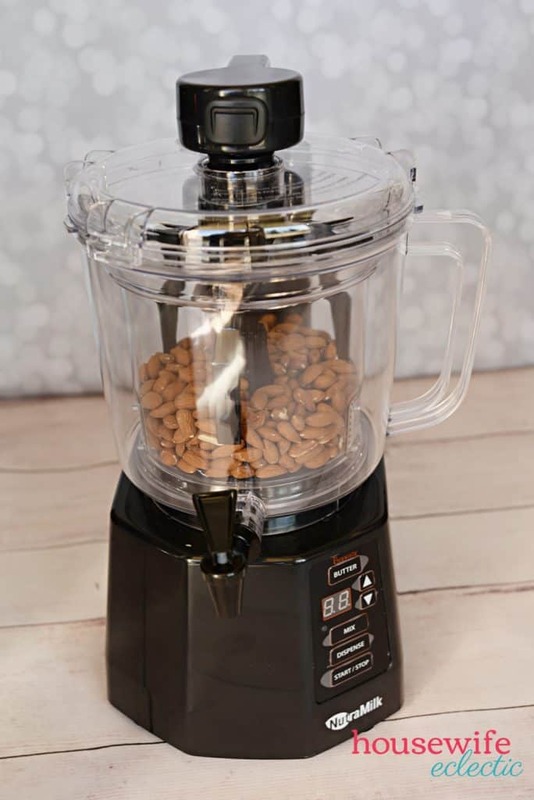 Pour your nuts into the machine, then place the lid with the black arms down into the machine, turn it on, and and set your timer. There is no soaking beforehand and no straining afterward. You can make nut butter easily whenever you want it. For this almond butter, I used raw almonds on the nut setting for 13 minutes. 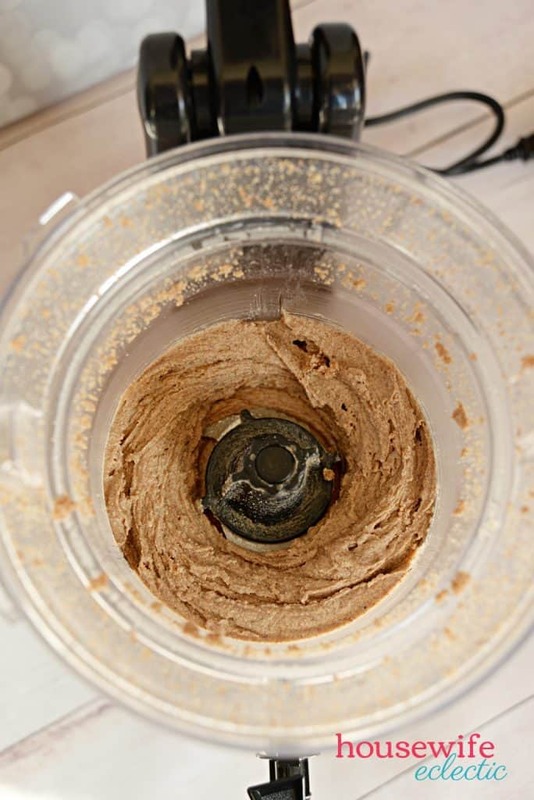 After the cycle runs, you will have creamy delicious nut butter that is ready to use in any recipe! 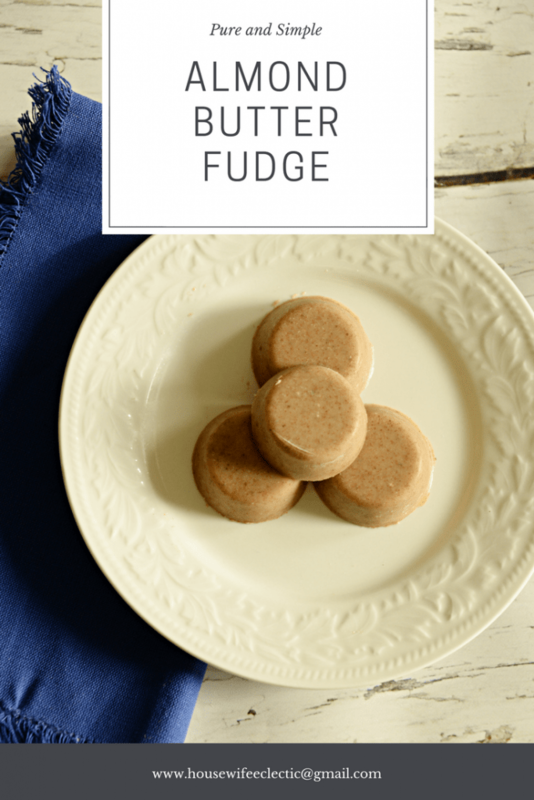 One of my favorite ways to use fresh almond butter is in this pure and simple fudge. It has three simple, whole ingredients, making it practically guilt free! 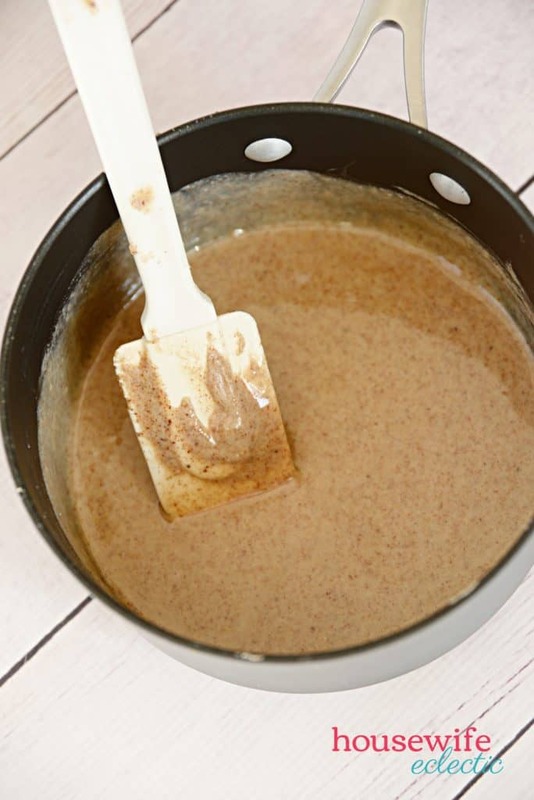 Stir together the almond butter and coconut oil in a sauce pan over medium heat until the oil is melted and the mixture is smooth. Add the honey and stir until smooth. 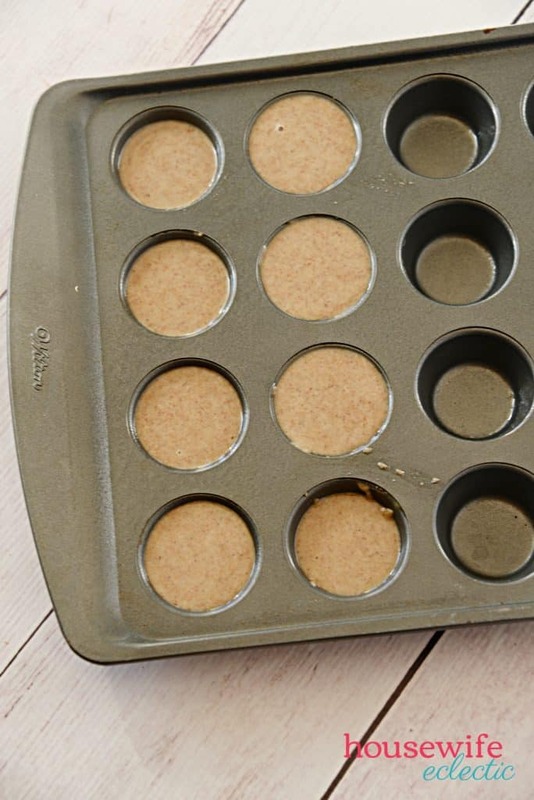 Add the fudge mixture to a greased muffin tin or mold. I find a mini muffin tin makes the perfect-sized fudge bites. Freeze the fudge until it is completely set. Pop the fudge discs out of muffin tin and put into a container. Store leftovers in the freezer. If you want a more traditional fudge full of almond butter AND chocolate, then this recipe is for you. 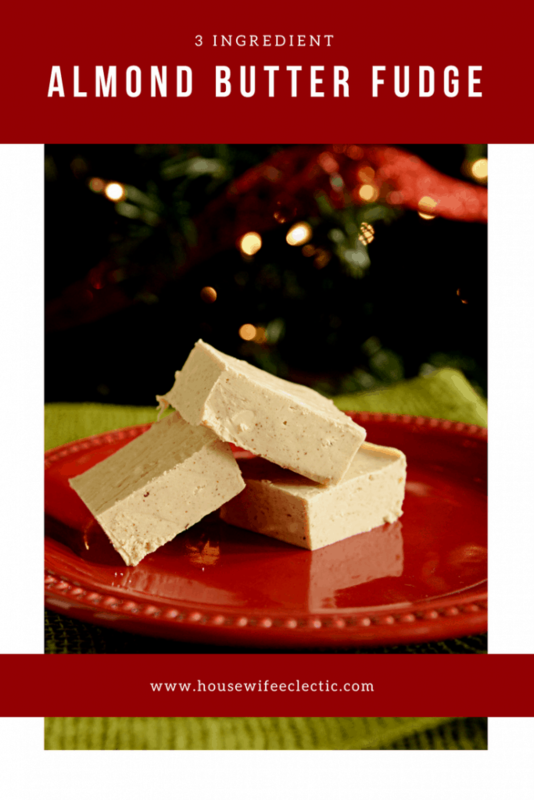 It is a traditional creamy fudge with the extra creaminess of a fresh nut butter. 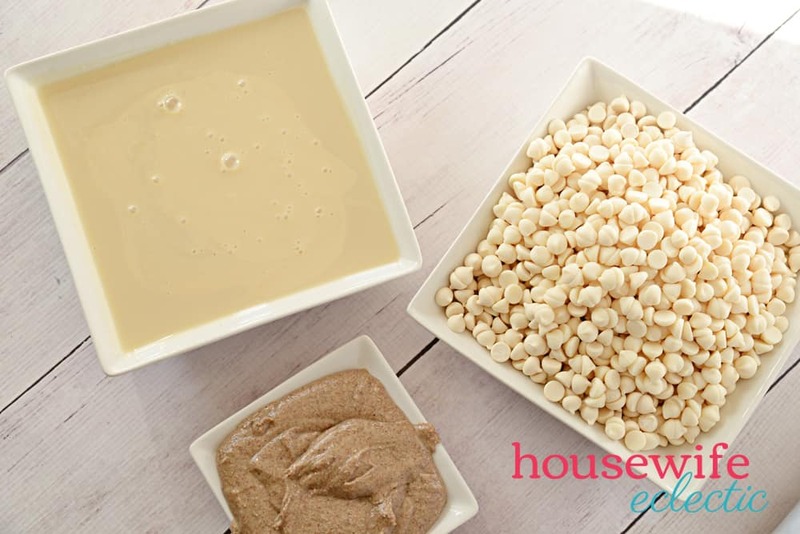 Mix together the sweetened condensed milk and almond butter in a bowl until well combined. 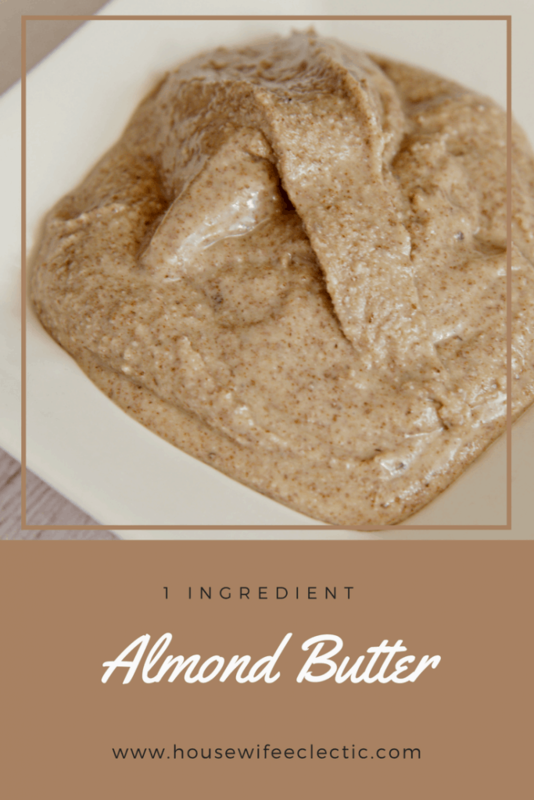 This is really easy right after you make the almond butter because it is warm and easily spreadable. 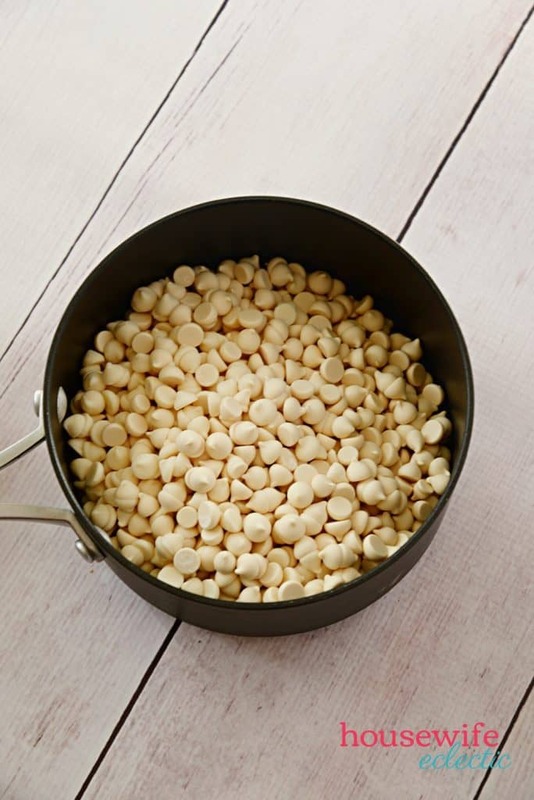 Melt the white chocolate chips in a sauce pan over medium heat. Stir them constantly to keep them from burning. When the chocolate chips are completely melted, add the butter mixture and remove from heat. Stir the fudge until combined. 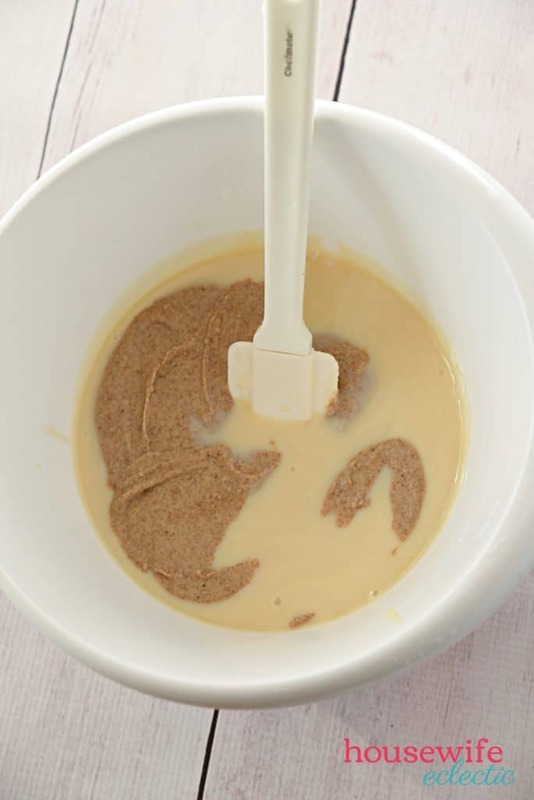 Pour the fudge mixture into a greased 9×13 pan. Allow the fudge to sit on the counter until cooled and set. Slice the fudge into squares and enjoy! 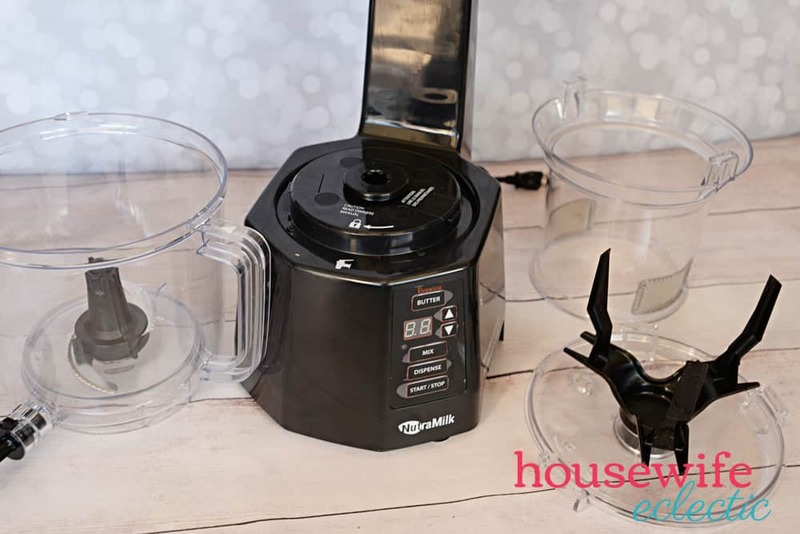 The Nutramilk is truly a one of a kind appliance that is perfect for anybody with allergies, dietary restrictions or for someone who just enjoys nutmilk and butters. If you Pre-order now through 12/8 you can use code NUTRAMILK50 for $50 off MSRP, AND you will receive a free bonus storage container! Units will ship at the end of November. (while supplies last). What nut butter or milk would you make first? I would like to personally congratulate you as your blog Housewife Eclectic has been selected by our panelist as one of the Top 100 Housewife Blogs on the web. What a great idea for fudge if you have a peanut allergy. I love your recipe for almond butter, it doesn’t get any better than that. Yum, this looks so tasty! I’ll admit, I’ve never had almond butter fudge, but I’m pretty sure I’d like it. Sweet Lord I think I’ve died and gone to heaven! This is so tempting to make. I think I will have to make it because I am now craving it! I’ve never made my own almond butter before. I bet adding the freshly made almond butter to the other ingredients really amps up the taste. I have to try this. It looks delicious. 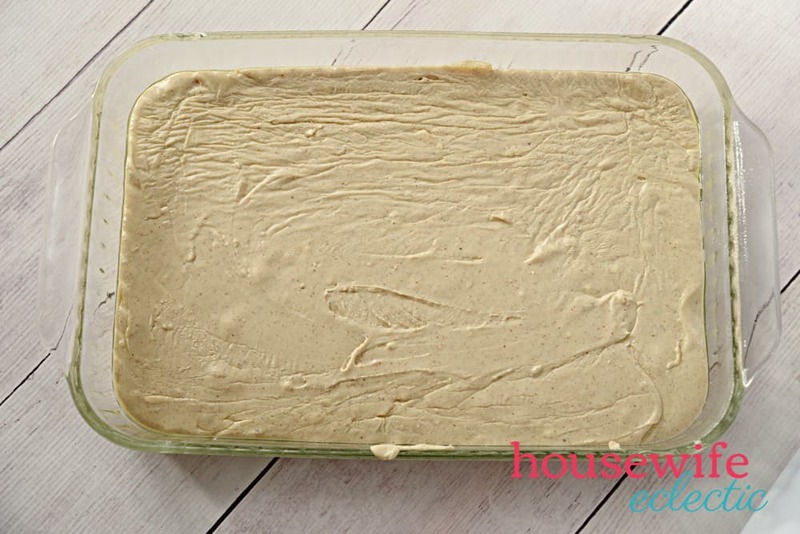 I have never made almond butter fudge BUT I wonder if this would work with cashews. I love cashew and occasionally make cashew butter – like peanut butter – as an alternative to peanut butter. I can’t wait to try a little spin on your recipe. I need to try to make this fudge. I just switched over to Almond milk so this is perfect. YUM. I would love to try this recipe. I love almonds and almond butter. I love using my food processor for everything. It is one of my favorite things in the kitchen. Never had almond fudge before. Will be making this after the holidays. Homemade almond butter is just the best! I need to make this fudge recipe soon too. This looks so good and really simple on top of that! Plus this looks like something that I can eat at anytime for a sweet low treat that doesn’t have a lot of sugar. That’s a great fudge idea. It sounds like it’s fairly simple to make, easy recipes are my favorite. 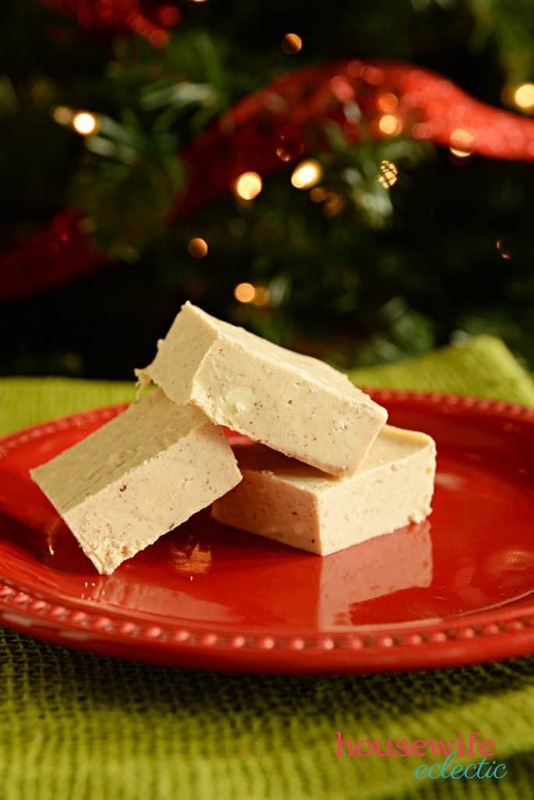 This Almond Butter Fudge recipe is sure to be a hit this holiday season. I have been looking for some new treat recipes to try. The Almond Butter fudge looks tantalizingly tempting. Love almonds and this fudge looks heavenly. Hope to try out this recipe soon. Wow, it doesn’t get much easier than one ingredient! I love almonds, this sounds so delicious! I haven’t heard of the Nutramilk, I need to look into that! It looks neat! This recipe is so easy to make which I do really prefer though. We definitely would love this almond butter fudge. How delicious! I love fudge, especially during the holiday season. It has been ages and ages since I’ve made fudge, but this shall change sometime soon! 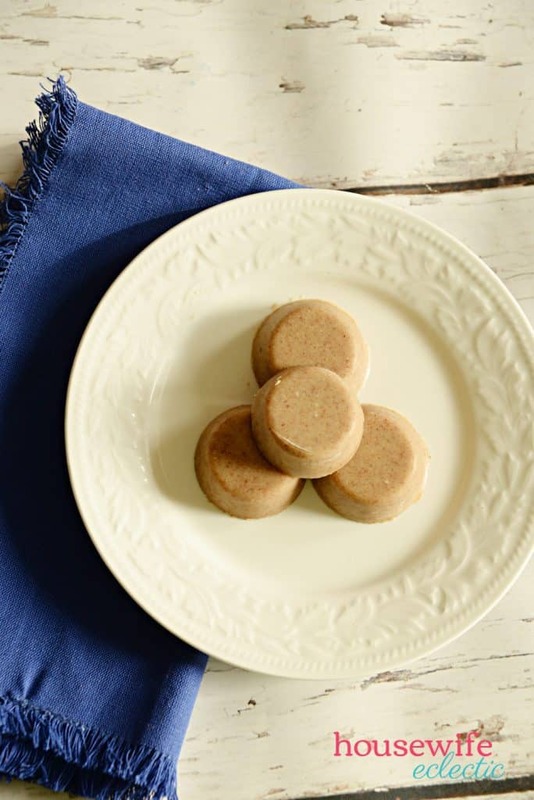 Great recipe – my daughter has a peanut allergy, so it is nice to have some alternative recipes. This sounds like a unique recipe too, something a little different from most fudge recipes. I would love to make an almond butter but I don’t have the proper tool to grind it. That fudge looks so delicious! Oh wow! I’ve never heard of almond butter fudge! It sounds amazing. Must try this!